The "hidden star" in this episode is quite easy to find but if you need help, view the Answers page. This is also Puzzle No. 24 in the Puzzles page. 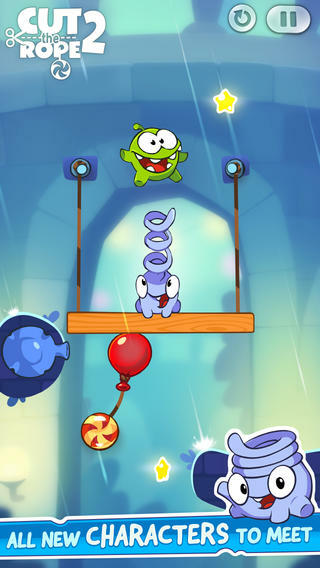 ZeptoLab seems to be trying to satisfy both iOS and Android users by releasing the NEW update for "Cut The Rope: Experiments" 1st for Android users while releasing "Cut The Rope 2" 1st for iOS users. SWEET ! 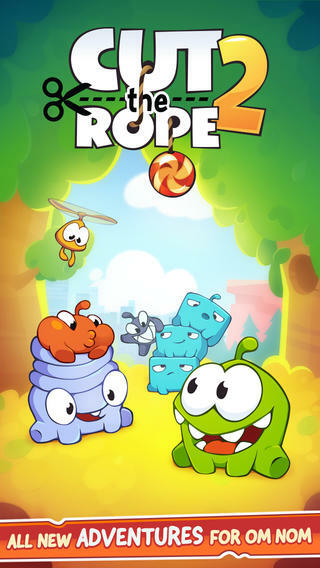 Cut the Rope 2 has arrived ! With new characters, fresh gameplay elements, tricky missions, and, of course, Om Nom, candy collecting has never been so fun ! In his unexpected adventure, Om Nom breaks out of his box and travels through lush forests, busy cities, junkyards and underground tunnels, all in pursuit of one goal – CANDY ! Along the way, he encounters the Nommies, the cutest candy collecting helpers a little green monster could wish for ! ALL NEW LOCATIONS TO EXPLORE ! Experience 120 entirely new levels of candy collecting, rope cutting action. ALL NEW CHARACTERS TO MEET ! Find 5 new characters, the Nommies, to help you on your unexpected journey. ALL NEW HATS TO BRAG ABOUT ! Customize Om Nom, choose your favorite candy and select your finger traces. ALL NEW ADVENTURES FOR OM NOM ! 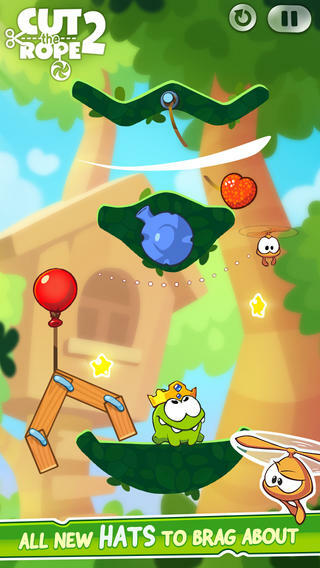 Experience completely new graphics, sound and gameplay elements, including the ability to move Om Nom. 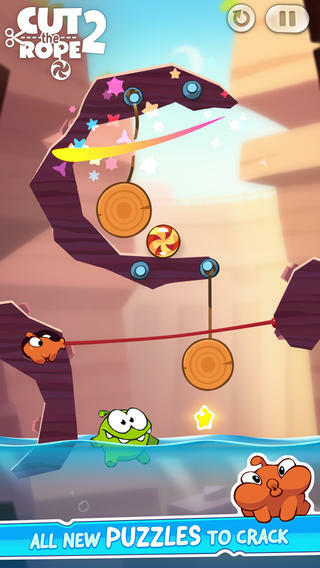 Familiar to play, yet challenging to master, Cut the Rope 2 brings fresh challenges and unanticipated obstacles to the candy crunching, physics-based phenomenon that has delighted millions of players around the world ! 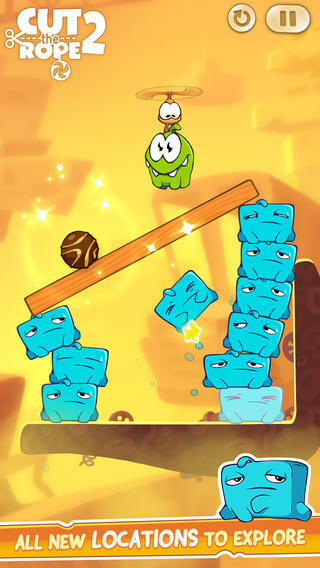 If you like Cut the Rope, you’ll love Cut the Rope 2 ! MEET OM NOM’S NEW FRIENDS, THE NOMMIES ! Don’t waste any time - exciting surprises await ! Help Om Nom find his way home...out of the forest, through a pond and a junkyard, into the city and beyond !